Enter up to 7 digits. If not a US DOT Number, instead complete the State-issued Identification Number and State. 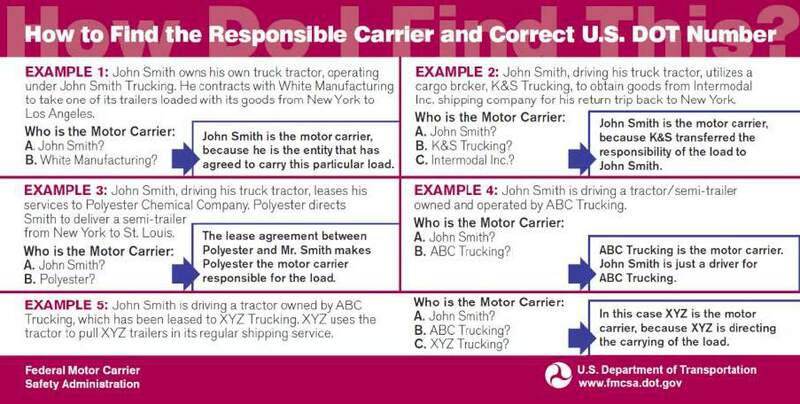 The identification number of an individual, partnership, or corporation responsible for the transportation of persons or property as indicated on the shipping manifest. A key way to identify potentially unsafe motor carriers is to collect crash data by the identification number of the company. The identification number (found on the truck tractor, and assigned by the U.S. 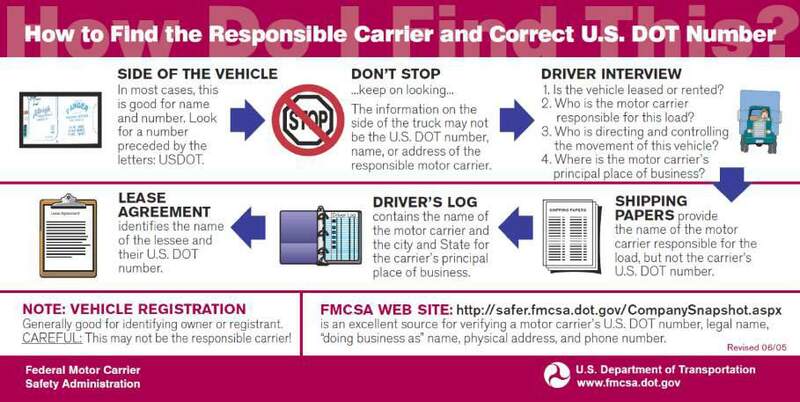 DOT is a key element for carrier identification in the FMCSA databases for crash and other carrier information.